UPDATE: this essay now appears in the travel anthology The Places We’ve Been: Field Reports from Travelers Under 35. My grandparents in India live on a tidy little estate called Palm Grove. It’s a whitewashed house with a red Spanish-style tiled roof, a marble courtyard with a swing, a pint-size pond and rose garden, and, of course, the soaring trees that give it its name. It was my second home, and I spent many a leisurely summer challenging Raju, the caretaker’s son, to never-ending cricket, badminton, and hopscotch matches on the circular driveway; playing cards and sipping fresh mango juice in the veranda; and reading Nancy Drew books on the seating area shaded by guava trees. It’s where some of my most idyllic childhood memories are from. It’s also where I developed one of my greatest fears. One day, while strolling aimlessly across the courtyard — the very same place where, years ago, I would vigilantly steer my tricycle over rows of marching ants — I suddenly noticed the coconuts littering the ground. This was not out of the ordinary; Palm Grove is home to many palm trees, and these lofty trees begot coconuts galore. Somehow I’d never paid them much attention before, but on that afternoon, I became consumed by their existence. They looked so harmless, lying there idly at the base of the mammoth tree trunks. But wait — how had they gotten there in the first place? Just like that, I developed a fear of falling coconuts. Yes, coconuts. Falling. From the sky. A terrifying prospect indeed. Now I’m sure you’re thinking I was just being silly. But would you think the same of a noted University of Florida shark researcher? Because according to him, 15 times more people die of coconut-related injuries each year than from shark attacks. But you don’t hear about those victims on the news, do you? When I was living in Saudi Arabia during the Gulf War, I had more substantial fears, like bombs. However, at my grandparents’ home, coconuts were a bigger threat. All those hairy brown shells lying on the ground didn’t walk their way down the tree trunks. They had to have plummeted. And judging by their numbers, they were committing suicide by the masses. I wasn’t about to stage an intervention with my head. For the rest of that summer I refused to set foot outside the house, unless it was to go directly into a car. I was subjected to ridicule by my grandparents, siblings, and even servants. But I would not budge. I had no intentions of lounging lazily on the swing, minding my own business, only to be mauled from above by a stray shell. No, sir. I was not prepared to die. And certainly not in so unglamorous a fashion. Everyone tried to convince me of the absurdity of my newfound phobia. If I hadn’t been struck by one in so many years, they assured me, I probably wasn’t about to start being assailed now. “When has a coconut ever hit anyone in the head?” they implored. Their logic astounded me. Just because by some blessing of God I’d thus far avoided being in the unfortunate trajectory of one of these destructive orbs didn’t mean I should flagrantly tempt fate. Then one afternoon, in the summer of 1997, when I was comfortably ensconced within the house watching MTV, word suddenly came from outside that a small coconut had dropped from somewhere — presumably from up above — and hit one of the servants in the back. Fortunately she was fine; she escaped unharmed and lived to tell the tale. Or simply to forget all about it (she did seem rather unfazed for someone who had survived such a brazen act of food-borne violence). However, not every coconut-attack victim may be so lucky. Many years later, in the safe, coconut-free confines of my Boston College apartment, I tuned into CNN in time to catch a brief glimpse of a headline: SCIENTIST WINS PRIZE FOR RESEARCH ON INJURIES CAUSED BY FALLING COCONUTS. Aha! All my fears came flooding back to me, but it was comforting to finally see my concerns validated by science. I’ve since devoted many hours to learning more about the perils posed by these plummeting balls of terror. 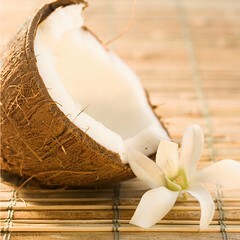 Apparently coconuts can weigh nearly nine pounds and tumble from up to 80 feet at speeds of 50 miles per hour. In many island destinations, resorts even hire people whose sole job is to knock coconuts out of trees to keep guests safe. Because let’s face it, few things say “honeymoon from hell” quite like a fruit-inflicted coma. Some might feel pity for the coconut itself — after all, should it survive its plunge and not bring harm to an innocent bystander, it lasts just long enough to have its own skull fractured and its insides devoured. But I am not one of these people. I don’t even like coconuts. So if I don’t knock open its noggin, the least it can do is afford me the same respect. is the 15x more people die from coconuts than sharks true??? my previously indifferent perspective on coconuts has changed drastically…i don’t think i can look at one without holding up my guard now…good stuff SK. I chuckle so much to myself while I read your blog! Email it to Hya and PD. I have lived in India for 2 years now and just recently went to Goa. One day, my daughter asked me lay in the lounge chair facing up so she could pour water on my hair without wetting the rest of my body. As I laid there, I saw the beautiful tall palm tree next to me. Suddenly I realized the amount of coconuts at the top of the tree. I drink coconut water twice a day. I am so familiar with how heavy and hard those coconuts are, that I could feel how that could kill me if it fell on me, even worse, my daughter. During that holiday I developed the fear of falling coconuts. I couldn’t walk anywhere near trees without being tense and looking up. Is there a name for this phobia?